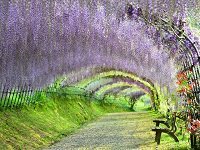 Walking down the Wisteria Flower Tunnel at Kawachi Fuji Garden (Kitakyushu, Fukuoka, Japan) under its beautiful cascading flowers will be a breathtaking stroll. 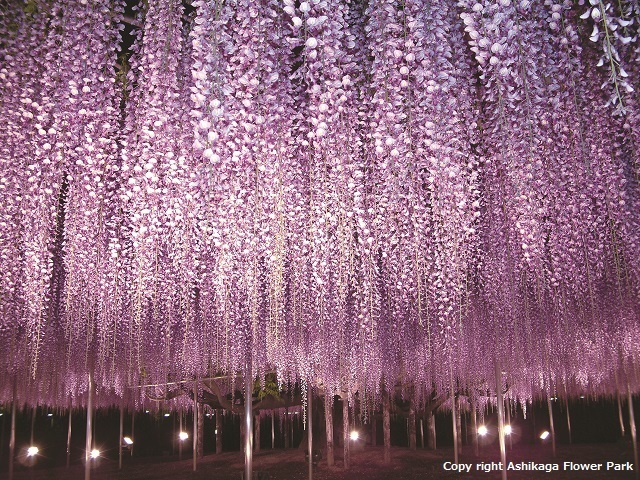 Purple, violet, pink, and white wisteria flowers cascade above you forming a tunnel during its full bloom season in late April to May. 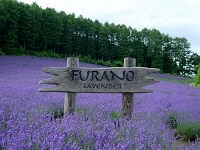 Be sure to visit during these months because at any other time of the year, the garden will look lifeless without any of the wisteria flowers. 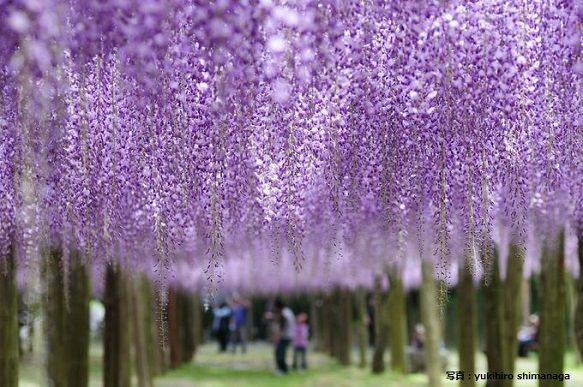 The flowers bloom more beautifully this time of the year but bloom more on some years than others.The park gets crowded with people though so if you're looking to take the perfect picture of Wisteria Flower Tunnel without a crowd of people in it, it is best to go early when the park opens. 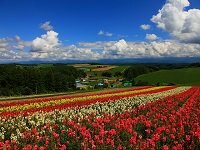 Japan Deluxe Tours has many tours throughout Japan including the Southern Japan Tour which explores the Kyushu area. 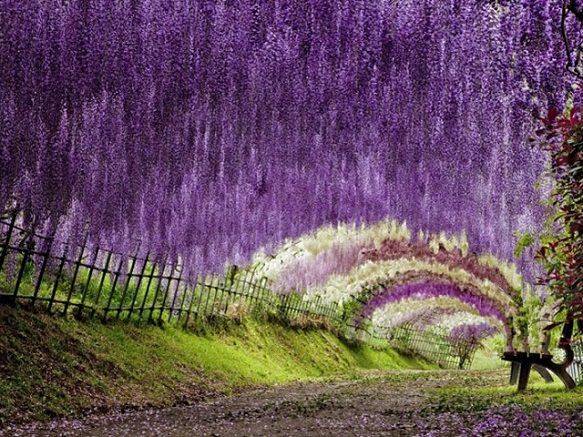 Join any of our tours to explore the highlights of Japan and extend your stay to visit the beautiful Wisteria Flower Tunnel.